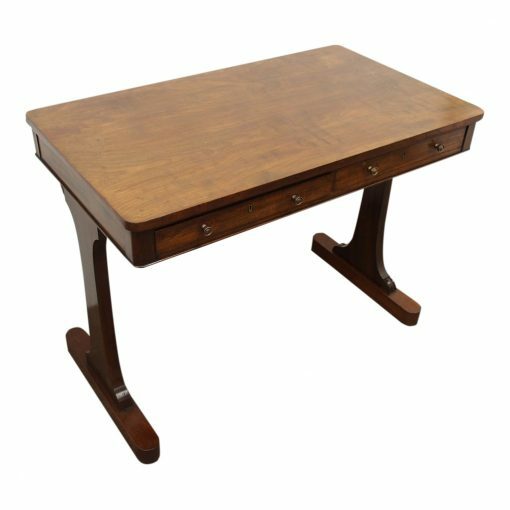 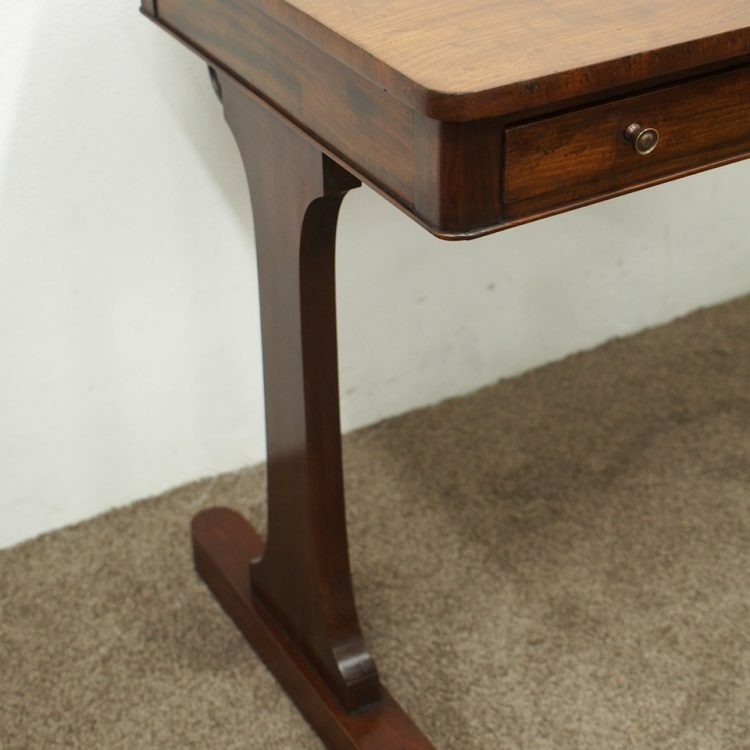 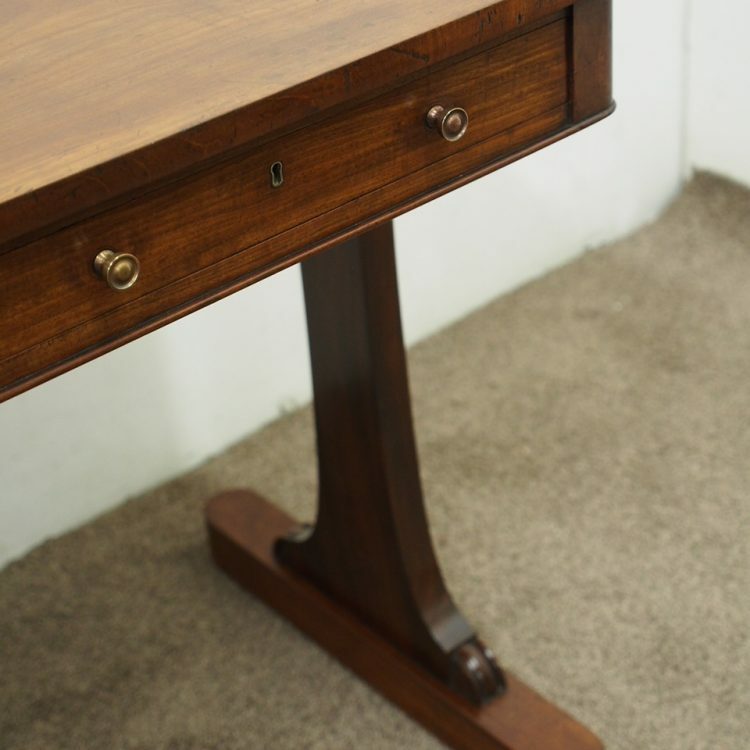 Circa 1810, George III mahogany side table or library table in figured Spanish mahogany. 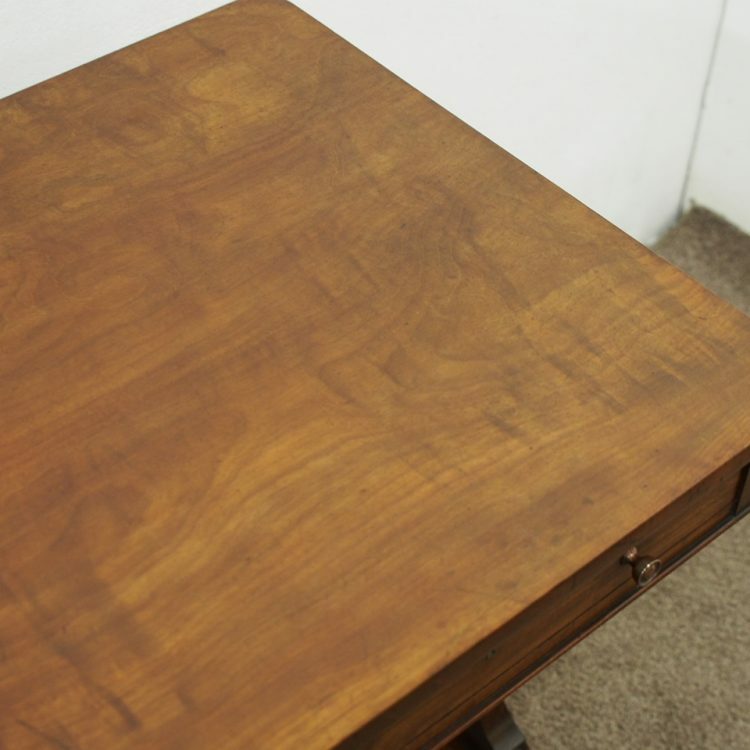 The rectangular top with rounded corners sits above a twin lined mahogany frieze drawers with locks by J. Child. 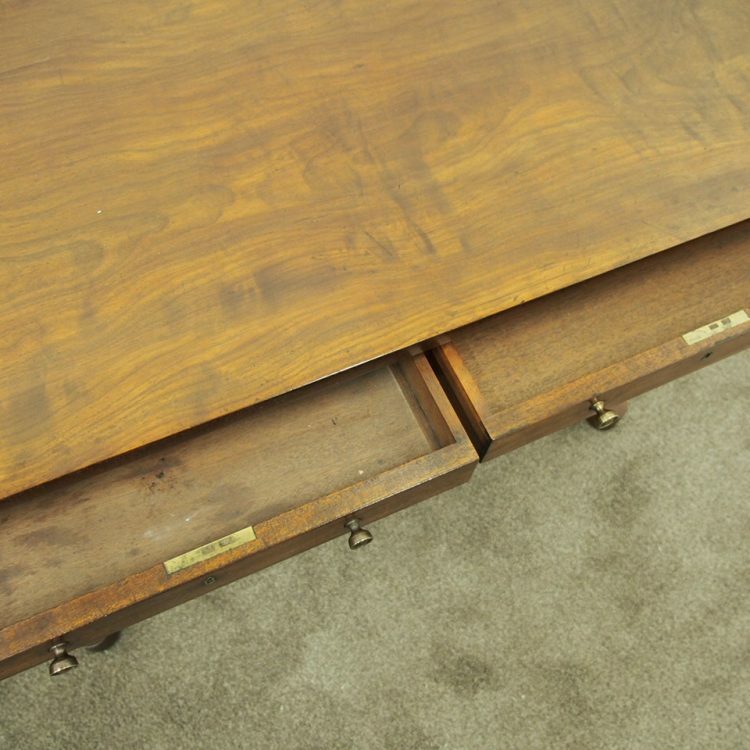 The brass knobs are a later addition, and there are dummy drawers to the rear. 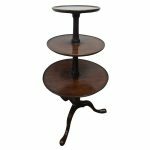 It is all standing on trestle supports over neat plinth bases with hidden castors. 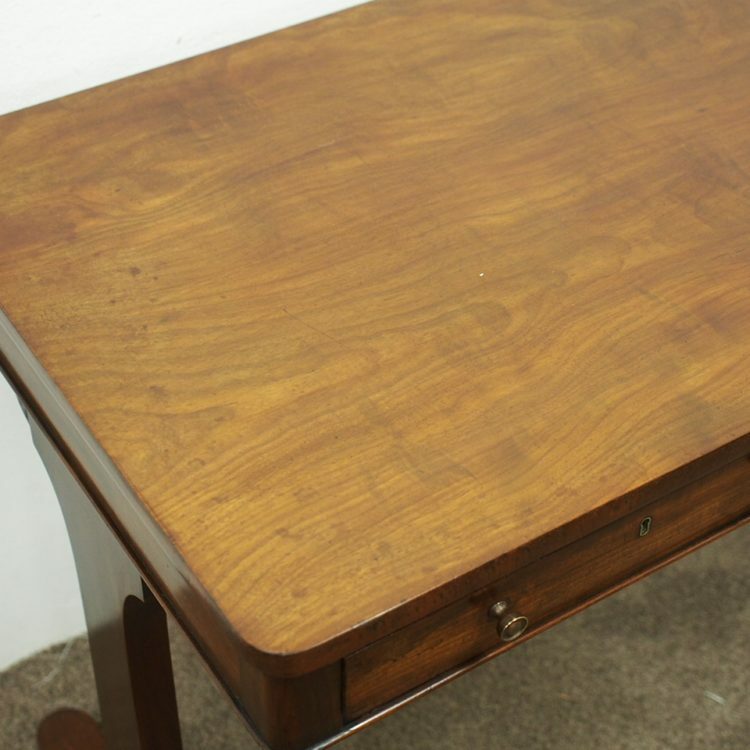 Size 74 cm high x 97 cm wide x 56 cm deep.